Star Trek 50th Anniversary Collector's Edition! 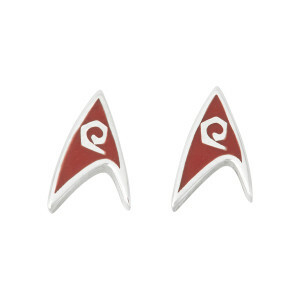 Star Trek Original Series Engineering Red premium hard enamel polished smooth. One centimeter sterling silver stud earrings with sterling posts and clutches. Handcrafted in New York City by RockLove in official collaboration with Star Trek.